Today’s post is for all of the POW’S from WWII, but especially for my grandfather, Malcolm Steele. In the United States at the end of World War II, there were prisoner-of-war camps, including 175 Branch Camps serving 511 Area Camps containing over 425,000 prisoners of war (mostly German). The Marine Raiders were elite units established by the United States Marine Corps during World War II to conduct special amphibious light infantry warfare, particularly in landing in rubber boats and operating behind the lines. “Edson’s” Raiders of 1st Marine Raiders Battalion and “Carlson’s” Raiders of 2nd Marine Raiders Battalion are said to be the first United States special operations forces to form and see combat in World War II. Four Raider battalions served operationally but all were disbanded on 8 January 1944 when the Corps made the doctrinal decision that the Raiders had outlived their original mission. The changing nature of the war in the Pacific, with many large-scale amphibious assaults to come against well-defended islands, negated the requirements for small light units that could strike deep into enemy territory. On 1 February 1944, the 1st Raider Regiment was redesignated the 4th Marine Regiment, thus assuming the lineage of the regiment that had garrisoned Shanghai in the interwar years and fought so gallantly on Bataan and Corregidor. 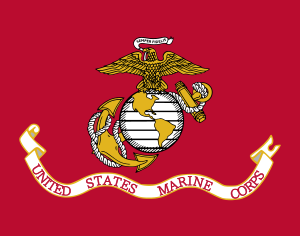 The 1st, 3rd, and 4th Raider Battalions became respectively the 1st, 3rd, and 2nd Battalions of the 4th Marines. The 2nd Raider Battalion filled out the regimental weapons company. Personnel in the Raider Training Center transferred to the newly formed 5th Marine Division. Leavened with new men, the 4th Marines went on to earn additional distinctions in the assaults on Guam and Okinawa. At the close of the war, the regiment joined the occupation forces in Japan and participated in the release from POW compounds of the remaining members of the old 4th Marines. My grandfather was one of Carlson’s Raiders. Previous The Christmas Cruise… BTF! Next Erotica Saturday with Heather Lane!